So you have a product or business idea to develop for a client, but the company you work for is not ready to bear the project cost entirely. However, if your project is completed successfully, your profit share would be very promising. What do you do? Forgo the plan or go ahead with it? How do you secure the finances? 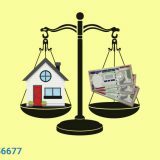 You can apply for a small cash loan at loanbaba.com, if you need an amount between INR 10K to 50K for meeting expenses for the business project. How Will an Instant Loan Help? Business projects generally come with a deadline, asking for an immediate requirement of funds, which can’t be arranged from sources soon. 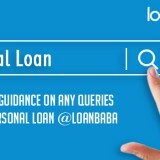 At such times, instant loan amount disbursal from loanbaba.com will come to you within just few hours from loan approval. 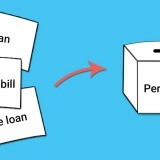 Why Short-Term Loan is the Best Option? When you take a short-term loan, it is obvious that you would be off debt sooner than long-term loans. It is a type of an urgent loan, which gets paid off quickly from your income, with no demand for securities to be submitted. Thus, you are less financially burdened than that from other funding choices. The interest rate for fast cash loan is relatively lower than many other loans, so it is easier to repay. As only salaried employees are eligible for small cash loan, you as an employee of an organization can manage to repay from your salary itself. The repayment tenure stretches to about three months, but can be lesser depending upon the amount taken. So, you will have enough time to work out ways to secure finances for repayment. Once you get the money, you can score ahead with your business plan. As a portion of your income will go towards EMI payment, you have to be strict with your spending until the repayment tenure. Make note of all your needs that you have to pay for, and keep an account of costs involved. Omit expenses that are not urgent. Start saving, even if the amount is small. Let these savings go towards clearing the debt. Finally, stick to the budget of the business project. If it is demanding more funding than you have already secured for it, then you will have to look for other financing options. So keep a back up financing plan as well, but do not let it interfere with small cash loan settlement.